Gigaom’s seventh annual Structure event is nearly upon us, and it’s time to meet the Structure Launchpad finalists — all creative young companies focused on building infrastructure to power cloud applications and our access to them. Beyond Verbal: This company’s “emotional analytics” claim to assess a given user’s voice in real time to assess his or her emotional state and character traits. CloudBolt Software: CloudBolt builds IT management software that works across on-site assets as well as what’s running in the cloud, giving administrators a single view and point of control for their technology, wherever it’s running. Code On Technologies: This spinout of MIT and Caltech builds technology that can be applied to existing systems or products to bolster connectivity, so mobile devices and cloud services perform better. CRATE Technology: Crate Data packs an array of fan-favorite open-source components — Presto, Elasticsearch, Lucene, Netty — onto a single machine or a cluster and then adds SQL language support, a dashboard and query console to create a real-time data store for developers. NIMBOXX: This startup claims its super-converged collection of servers, storage, and networking will enable companies to deploy a secure virtualized environment in less than 10 minutes. Phluido: A wireless networking startup, Phluido says its “Radio as a Service” technology enables the rollout of cheaper and denser 4G LTE networks for a bandwidth-hungry world. Sideband Networks: This startup’s application-aware performance monitoring software gives IT staff a single view into both live and logged network traffic, providing a peek into what’s going on with devices, users and applications. 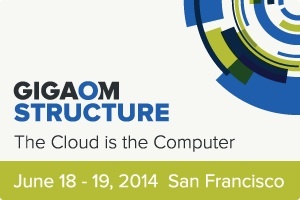 Gigaom will profile each startup in coming weeks and then don’t forget to check out Structure itself June 18-19 in San Francisco to see which company gets the nod from the judges. Past Launchpad winners include Saltstack last year; Keen.io in 2012; DotCloud, now known as Docker in 2011; and CloudSwitch, now a key part of Verizon’s cloud. I too was lucky enough to get an early look at Nimboxx’s upcoming server appliance in connection with Spiceworks. They have managed to tune a virtualization environment that is capable of some AMAZING performance. Wish I was in a position to install that in our company. It blows away everything we just built in the past year and leaves it in the dust. Watch out for Nimboxx, their Kung Fu is strong! As a pre-beta tester, the limited exposure I had to the NIMBOXX solution left me impressed enough to express an interest to purchase. That, as a natural born miser, is the best endorsement I can provide. As all surveys seem to end with the question as to whether you’d recommend this solution to a friend, I say yes. Thanks to NIMBOXX and the SpiceWorks team for the opportunity to test and assist. As an IT professional or 15 years, I was recently invited to pre-beta test the NIMBOXX appliance. The features and ease of setting up a new environment was amazing. They offer many features that will be a major plus in the professional environment. I look forward to seeing the upcoming changes they are making to this product. I am also a SpiceWorks users who was granted access to it. I look forward to seeing how they partner with other companies in the future. I feel they are a team to watch! Make sure to give them a look when reviewing upgrades to your infostructure as opposed to others. Their all in one processes has a lot to be said over using multiple hardware and software solutions. Good luck to your entire team! Nimboxx is a facinating product. I had the pleasure of being on a SpicePanel and reviewing the equipment in my test lab. I feel the product and the team are all first rate. I look forward to a future with them. Good luck guys!